Recently, we published a post on related to the work-in-progress Android 4 Ice Cream Sandwich port for the Kindle Fire and now, we’ve received news that the port has been released for public consumption. Check out the details and the step-by-step instructions on how to install it on your Kindle Fire after the jump! News of the release comes from Liliputing – a website dedicated to covering mobile products and the technology that powers them – in the form of a post in which they discuss the port and how to go about installing it. Before you continue, you will need to meet a few pre-requisites. Firstly, your Kindle Fire must be rooted. Secondly, you must install TWRP 2.0 – a touch-based custom recovery for the Kindle Fire. You can follow our guide on how to root the Kindle Fire and check out Liliputing’s guide for installing TWRP. Lastly, and most importantly, please understand that this is a very buggy and unstable build. It is not at all ready for daily use; stay away from it unless you’re a developer who knows how to fix these bugs or understand the risks involved and know how to bring your device back to normal operating condition if something goes wrong. Step 1: Download Android 4.0.3 ICS Experimental Build [MediaFire]. Transfer it to the root of your Kindle Fire’s internal storage so you can flash it later. Step 2: Shut down your Kindle Fire. Once it is completely turned off, tap the power button to turn it on. When you see the yellow triangle on the display, press and hold power button until you boot into TWRP. Step 3: Take a backup from the backups section on TWRP. This will come handy later on if you wish to revert back to your current state. Step 4: Wipe out everything from TWRP i.e. data factory reset, wipe cache and wipe Dalvik cache. Step 5: Tap Install and select the file you transferred to your Kindle Fire in Step 1. Once selected, tap flash. Step 6: From the main menu, tap reboot system. 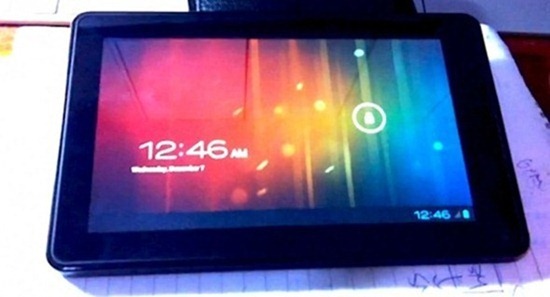 If you followed the steps correctly, your Kindle Fire will now boot into an experimental build of Android 4.0.3 Ice Cream Sandwich based on CyanogenMod 9. For further queries, check out the official thread on XDA.